My One Thing: A Useless Debate? Well here’s my first post about a book I read. I hope you find it interesting. If you are familiar with the subject you probably know it can be a hot topic. 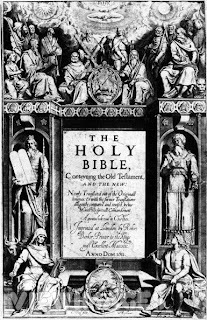 The King James Only Controversy by James White was a book assigned to me to read, that I ended up finding quite interesting and informative. It is truly too bad that such a thing as bible translations can separate the church. Whether you use this version or that should be everyone’s personal choice and your faith and devotion to the Lord should not be questioned based on that issue. Whether or not it should be an issue, it’s still an issue; one we find ourselves in the middle of sometimes. And so, in such situations, it helps to be informed on the facts if we desire to be peacemakers (Mat 5:9). And that is one of the things this book is useful for. There are those people, who are “missionaries” for the KJV only cause, trying to convince Christians that the new versions are heretical and satanic by presenting them with unproven “facts” and misrepresentation. They say that if you’re not reading the KJV, you’re not reading the word of God, and so we find this group of people appropriately called “King James Only Advocates”. White does an astounding job in dealing with the claims these people make that cause people to wonder as to whether or not what they hold in their hands is the Bible. So what causes KJV only advocates to be so strong and adamant in their position? I think what it comes down to is tradition. If someone grows up with the KJV, then something new comes out that is different, and may I say improved, they’ll raise a suspicious eyebrow and then compare these new translations with their KJV. And here, my friend, lies the problem. True, the NIV or NASB differs from the KJV in many areas, but the translations differ because the texts they are based on differ. One cannot simply take the KJV, the Bible they’re used to and the assumed standard, an d compare it with another and say, “see this deletion?” or “see this change?”. 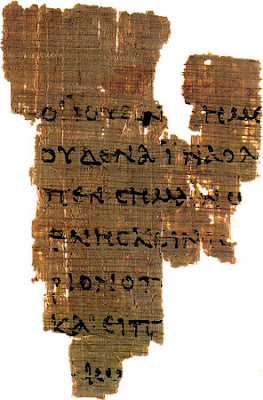 If we look past the surface we’ll find how the various Hebrew and Greek texts vary. There are no two texts that are word for word. Scribal error, harmonization, and/or expansion of piety (for example, extending Jesus to Jesus Christ or Lord Jesus Christ) make up a lot of the differences between the translations. And so, Textual Criticism is used to determine which of the variant readings the manuscripts give is the original one. When God preserved his word, he did so in such a way that it could not be altered in any fundamental way. But he did so in a way that allowed for Textual Variation. I might add that reading this book also convinced me that none of the differences in translations or texts are doctrinally significant. To illustrate how people’s traditions influence their view of new translations, let’s look at some history. I quote James White from page 17 with reference to the opposition and resistance certain scholars received when translating their works. "Jerome takes the heat for translating the Vulgate, which eventually becomes the standard. Erasmus then takes the heat for challenging Jerome and for publishing the Greek New Testament. Then, four hundred years later, it is Erasmus’ work itself, in the form of the Textus Receptus, which has become enshrined as “tradition” by advocates of the AV! He who once resisted tradition has become the tradition itself. The cycle continues. Will there someday be an “NIV Only” movement? We can only hope not." It's amusing and sad at the same time. What I say is take whatever translation you happen to have on your shelf, pray for understanding, and God will reveal his heart to you through it. If what thou findest thyself reading is an old English KJV, then mayest thy God bless thee. If you find the Lord in the NIV, then cool! If you’re Hispanic and all you can read is the Santa Biblia, then muy bueno. If it’s Da Jesus Book, well, den all you guys betta watch out cuz dem fellas who thinks yous gotta have dat King what’s-his-name bible and none oda are gonna come afta ya and kick a you offa yo heals. James White is an apologist and the president of Alpha Omega Ministries. This book is separated into two parts. I didn’t read Part two (The Textual Data), which goes deeper into the subject and makes up the last 30 pages of the book.